India's Ambassador Sanjay Bhattacharyya: - "Do you know, India and Turkey have ties based on very old traditions. We would trade spices thousands of years ago. I hope this tradition to revive during the week"
ANKARA (AA) - The opening of the India Food Days, organized by the Embassy of India in Ankara and continued until 02 February, was held in Hilton hotel in Ankara. Foreign diplomatic mission chiefs, members of the Indian community in Ankara and guests attended to the event, hosted by the Indian Ambassador to Ankara Bhattacharyya, where vegan and vegetarian dishes of Indian culture were introduced. - "India and Turkey has very old ties based on"
"Today we have an extremely special event because we have today's Gandhi menu. In other words, all dishes are vegetarian because Mahatma Gandhi was vegetarian," Ambassador Bhattacharyya said. 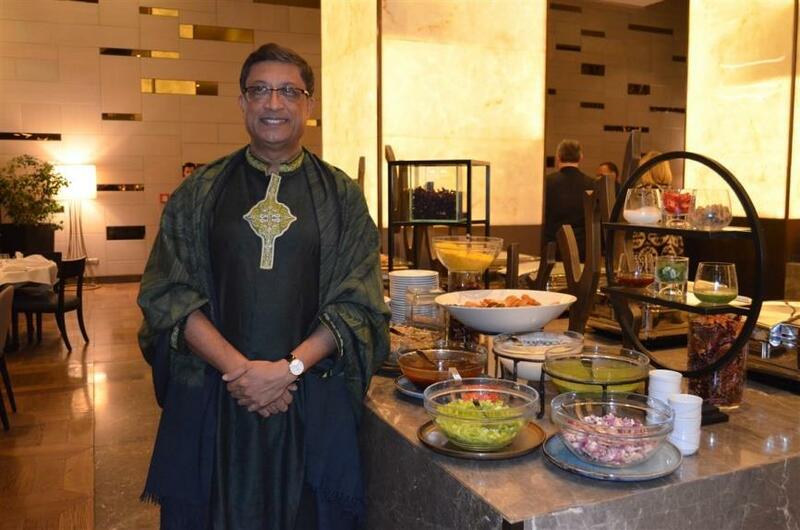 On other days of the event, Bhattacharyya described, will be presented to the guests of different food types illustrating the diversity of India. "India and Turkey, as you know has ties based on very old traditionsw. We would trade spices thousands of years ago. I hope this tradition to revive during the week." he said.